Jarvis is free Alfred for Windows. You can think of this software as an alternative to MAC’s Alfred as it works in the same way. It lets you quickly search files and folders and launch them. You can add different locations on your PC to index files and folders and then use it to locate them using its lightning fast fuzzy search. You can invoke it with a simple keyboard shortcut and start typing the name of the file you want. It shows the suggestions in real-time according the query you type and you can simply select the matching one and open it. Alfred is a popular file launcher for MAC that I am sure many of you may have used. And if you want to do the same thing in Windows 10 then you can use Jarvis. It lets you index files folders from specific locations and then lets you search and launch them quickly. 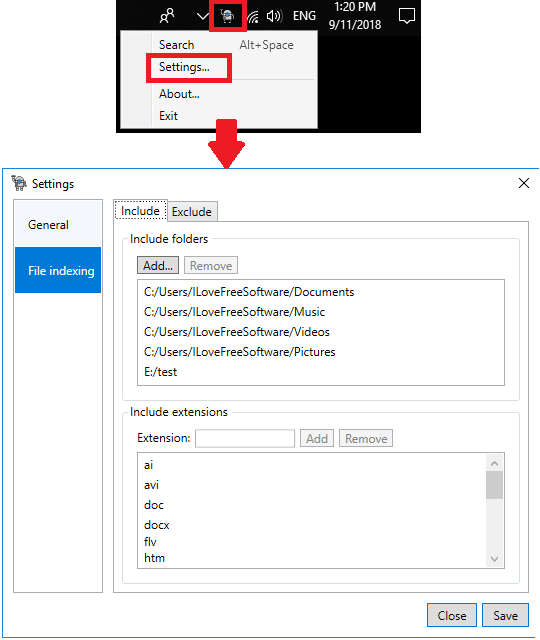 Not only this, if you want then you can exclude some folders from the indexed locations and even opt to list only specific file types from indexed locations. It keeps running in the system tray and you can call it anytime with a simple keyboard shortcut. Jarvis is an open source Alfred for Windows that you can use to quickly find files and applications to launch them. It keeps running in the system background and you can use its tray icon to configure the advanced options like indexing, etc. Simply download Jarvis and then install it on your PC. After installing, simply click on its tray icon to open the settings option. After that, add the folders in it to index files and folders. You can add folders that you want it to list files from and you can even allow only specific file types to be appeared in the software during search. Now, you can wait for a few seconds or better restart the software to start using it. You can bring the interface of the launcher using the “Alt + Space” hotkey and start typing the query. The query can be file name, folder name, or name of an application that is present in the indexed locations. As you start typing the name of the file, it will start showing the suggestions in real-time. When the target file appears simple use the down arrow key to navigate and hit enter to open it. Simple as that. You can see the GIF that I have added above. That’s it. 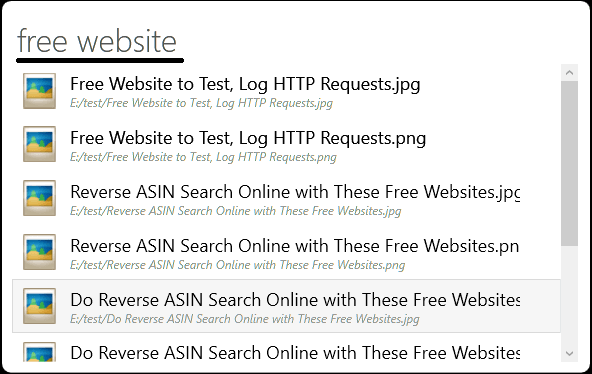 That is how you can easily use this Alfred for Windows to quickly launch files and applications. The tool is very simple and you can easily use it. Just remember the hotkey to open it and then simply search and open files like in Alfred in MAC. Jarvis is a very nice Alfred for Windows 10 that you can use. If you’re looking for a nice alternative to Alfred for Windows 10 then Jarvis is the solution. You can simply install it and use it to quickly find files and launch applications. And the interface and functionality is almost same as of Alfred. So, if you want to give this tool a try then this post will show you how.